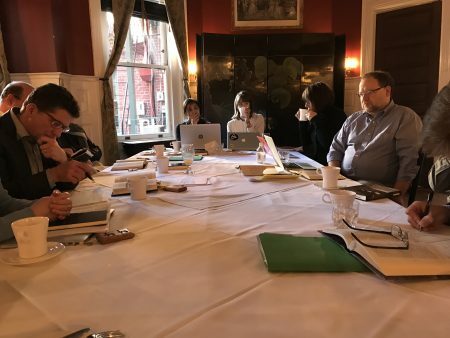 The senior fellows of the Religion and Its Publics project met for the third time in Washington, DC in late March to continue their years-long discussion about religion and public life, with particular attention directed toward the nature and purpose of public theology. 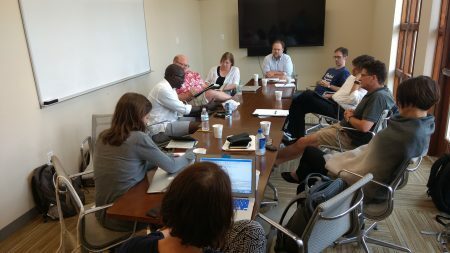 Throughout the weekend, the fellows discussed methods for shaping potential publics that may be receptive to the work of public theologians. General check-ins and opening remarks on Friday over dinner were followed by a day of critical conversations. Saturday morning’s discussion covered Amy Allen’s book The End of Progress: Decolonizing the Normative Foundations of Critical Theory, which investigates the narrative of progress underlying critical theory and evaluates the concept of progress as a political ideal in concrete and particular situations. For Saturday’s second session, the senior fellows discussed Prof. Chuck Mathewes and Prof. Paul Jones’ piece for the Political Theology Network, “Futures for Public Theology.” Themes from the first and second sessions carried into the third, which centered on Mathewes’ working paper “An Almost-Chosen People: The Prospects and Perils of Public Theology in the Contemporary United States.” The senior fellows offered a number of possible revisions, and suggested that the paper might be extended into a larger work or modified for a more “popular” (public) audience. The annual meeting concluded on Sunday morning with a forward-looking brainstorming session. 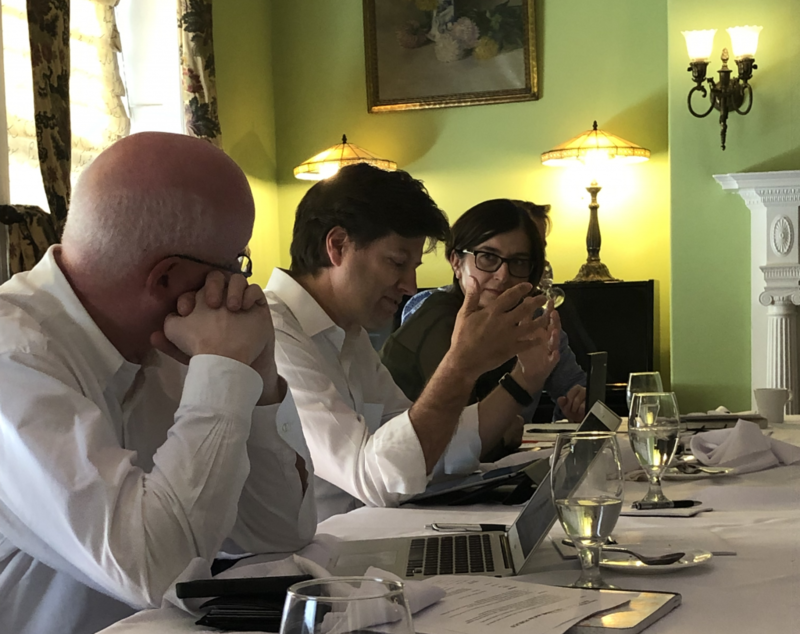 The fellows discussed various ways to expand the project’s scope, including by developing an innovative publication platform steered by new and promising voices in public theology. 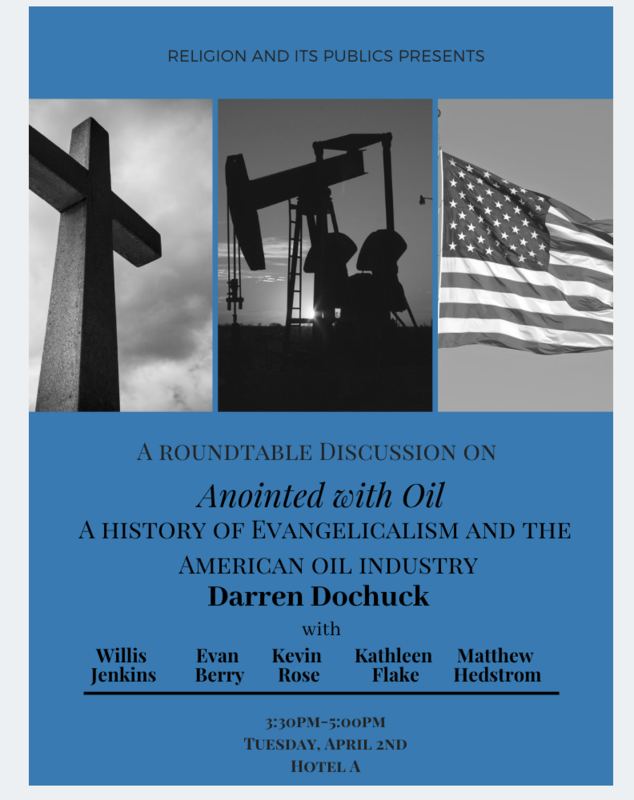 The Project on Religion and Its Publics is pleased to invite you to a roundtable discussion on American Christianity and the oil industry. Prof. Darren Dochuk of Notre Dame will be visiting the University of Virginia to discuss his forthcoming book, Anointed with Oil, with a group of respondents. 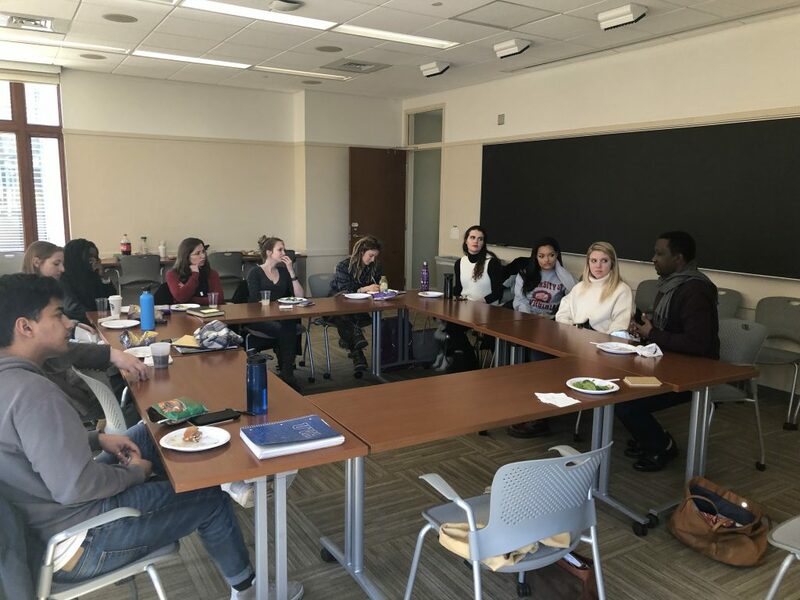 March 6th 2019 – Religion and Its Publics and Professor Larycia Hawkins hosted a brown bag lunch to remember and reflect on the Rwandan Genocide, which began 25 years ago on Easter day. The conversation—The Politics of Forgiveness: Religion and Post-Genocide Rwanda—was led by Christophe Mbonyingabo, founder and Executive Director of CARSA Rwanda (Christian Action for Reconciliation and Social Assistance). CARSA began reconciliation and peace efforts officially in 2004, and along with multiple programs, aims to reconcile survivors and perpetrators of the genocide in Rwanda in 1994. An internationally acclaimed documentary features the work of CARSA and the hard-fought nature of forgiveness and life post-conflict, including the role of religion in reconciliation efforts. The conversation included comparative questions about other countries attempting to reconcile large populations, especially along racial lines, and explored the ways CARSA, as a Christian organization, functions in the Rwandan context, as well as the potential of such efforts being scaled and mapped onto other conflict zones across the globe. 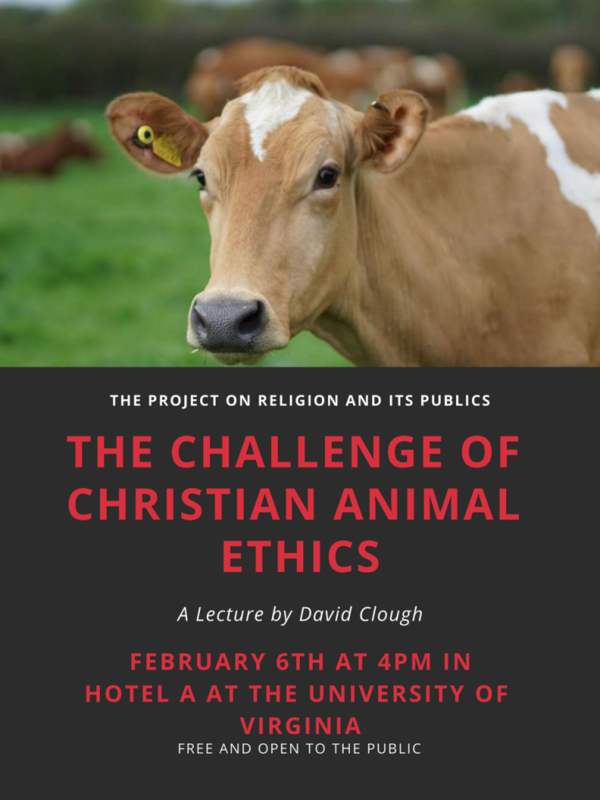 February 6th 2019 – David Clough (Professor of Theological Ethics, University of Chester) delivered a moving and provocative lecture about why Christians in particular have powerful reasons to care about the well-being of nonhuman animals. Drawing on his landmark two-part monograph, On Animals (2012 and 2018), Clough outlined current trends in the treatment of nonhuman animals, considered the place of animal ethics in ethical life more generally, and offered a compact account of Christian thinking on creation and reconciliation as a backdrop for Christian animal ethics. There followed an articulation of the ethical stance that Clough believes that Christians should adopt – one that aims at a decisive reduction in the human consumption of animal products and which aims to change the current farming structures. David Clough will deliver the first Luce Lecture on Religion and its Publics of 2019 next Wednesday. Clough is Professor of Theological Ethics at the University of Chester and has just finished a term as President of the Society for the Study of Christian Ethics. He co-wrote Faith and Force: A Christian Debate about War (2007), debating just war and pacifism in a 21st century context, and has recently completed the landmark two-volume monograph On Animals (2012, 2018), on the place of animals in Christian theology and ethics. He is the founder of CreatureKind, a project aiming to engage Christians with farmed animal welfare, and Principal Investigator for a three-year UK Research Council funded project on the Christian Ethics of Farmed Animal Welfare in partnership with major UK churches and Compassion in World Farming. He is a Methodist lay preacher and has represented the Methodist Church on national ecumenical working groups on the ethics of warfare and climate change. 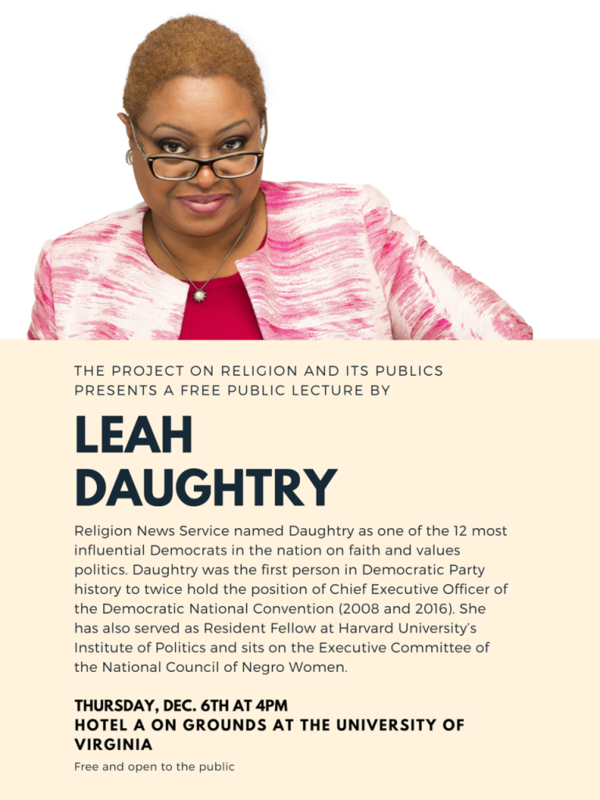 December 6th 2018 – Leah Daughtry gave a talk on religion in politics, and politics in religion, at the University of Virginia. Daughtry, former Chief Executive Officer of the Democratic National Convention, spoke of the importance of engaging across boundaries to achieve broader sociopolitical aims rather than getting caught up in partisan politics. In her talk, the fifth generation pastor elucidated how her deep religious training, knowledge, and leadership experience led her to politics, and how she has been inspired by her faith to become a “disrupter” of injustice and inequality in American society. At the same time, she stressed that the Democratic Party, including secular representatives and strands, needs to speak to the diverse faith traditions of its members, taking seriously how faith motivates politics across party lines. Daughtry also sat down with the project co-director, Charles Mathewes, to talk about recapturing religion from the religious right, how to engage the “nones,” and why she got involved in politics in the first place. Listen to the interview on our Audio page or on SoundCloud. 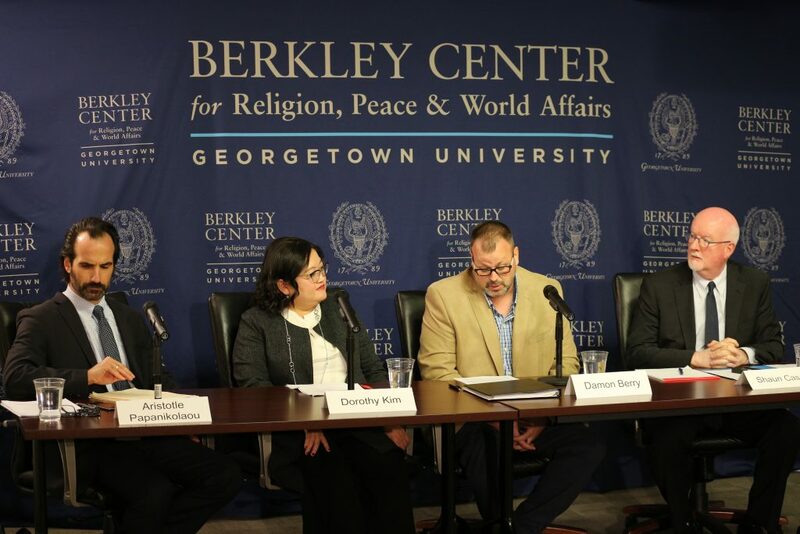 On October 22nd, 2018, Religion and Its Publics co-sponsored an interdisciplinary conference to investigate the rise of the Alt-Right and its complex relationship with religion. 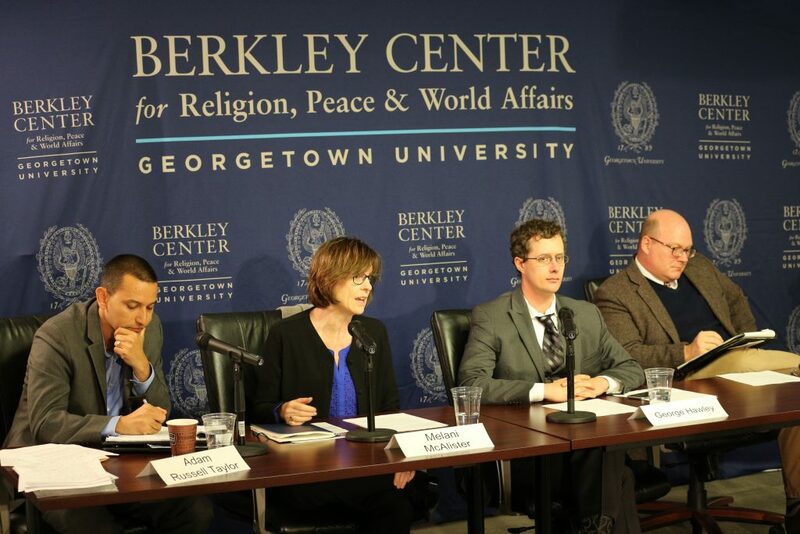 The conference was held at the Berkley Center for Religion, Peace, and World Affairs at Georgetown University, and broadcast live on C-SPAN. Links to full videos below. 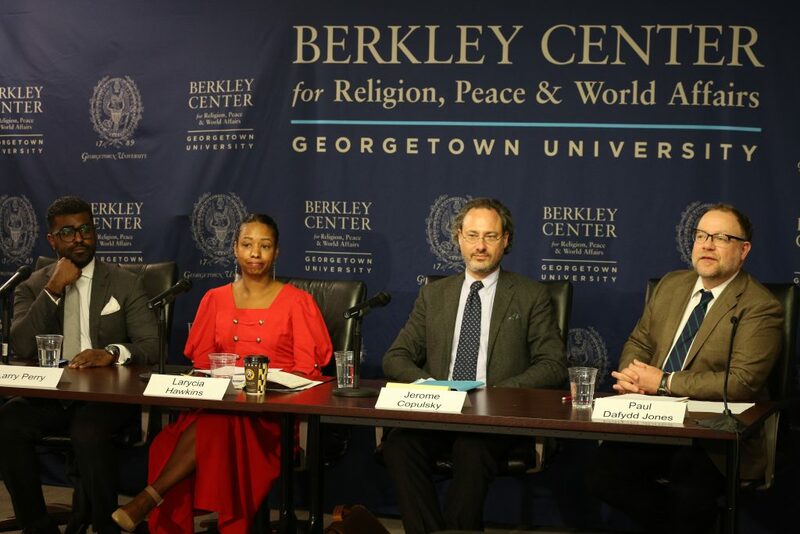 The first panel — moderated by Dr. Shaun Casey, director of the Berkley Center at Georgetown University — investigates the historical dimensions of the Alt-Right discourse in the United States, especially concerning religion’s (or certain religions’) role in Alt-Right groups’ rhetoric and formation. Dr. Damon Berry of St. Lawrence University speaks about the Alt-Right’s complicated relationship with Christianity, since different groups and leaders in the Alt-Right have historically taken Christianity’s universalism as a threat to their veneration of the “white race,” but have recently attempted to make inroads into the mainstream conservative discourse in America, which necessarily means modulating its messaging to make it more accommodating to white American Christians. Dr. Berry notes the importance of religion and a new brand of welcoming secularity in the Alt-Right’s strategies. Dr. Dorothy Kim of Brandeis University presents her studies of the Alt-Right’s co-optation of the medieval European past, which they idealize as an example of a “pure white culture” to spread their messages of racism, xenophobia, and anti-semitism and to incite violence through these religiously potent symbol systems. She cites Alt-Right groups — including Odinists, Wolves of Vinland, and neo-pagans based in various Norse religions — as well as key Alt-Right figures to map how Alt-Right revisions of medieval history undergird and sustain their white nationalist ideology. Dr. Aristotle Papanikolaou of Fordham University poses questions about the use of Alt-Right principles among recent converts to Orthodox Christianity in the United States as a way of affirming an identity associated with the Orthodox Church’s history in Russia and Eastern Europe. He notes the Alt-Right’s focus on Russian society, ironically idolizing a historical enemy of the United States (Russia) as a leader in defending “white culture” and combating what Alt-Right groups perceive as the failures of liberalism. The following conversation fields questions from the audience and includes panelists’ ideas of how academic disciplines can begin to deconstruct their own white supremacist histories and underpinnings. The second panel — moderated by Dr. Charles Mathewes, co-director of the Religion and Its Publics Project of the University of Virginia — brings the present moment in American culture to the fore, discussing Christianity’s role in the resuscitation and maintenance of the Alt-Right, as well as what the panelists believe will be the most important issues in coming years. Dr. George Hawley of the University of Alabama speaks about the complicated historical relationship between white Christianity and rightwing conservative movements and poses the question of whether religiosity is a predictor of individuals’ propensity toward racism or white solidarity. He employs surveys and polling to analyze possible answers to the question, concluding that the data is in some ways ambiguous and that the relationship between religiosity and racial attitudes is complicated. Dr. Melani McAlister of George Washington University focuses on evangelicals’ (particularly white evangelicals’) relationship and response to the Alt-Right. 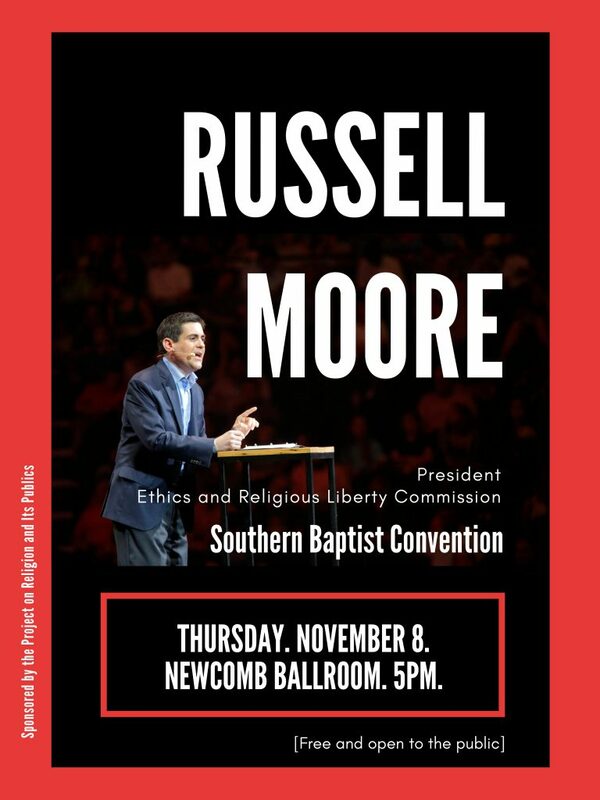 She explores the factor of a “folk theology of race” among evangelicals in the United States, which sometimes functions as a contravening force to evangelicals’ public theological statements in opposition to the Alt-Right. Rev. Adam Russell Taylor, who is executive director of Sojourners and serves the Alfred Street Baptist Church in Alexandria, Virginia, propounds an “animating vision” for combating the Alt-Right, as well as ways he thinks Christians should reach out to individuals who have been radicalized by extremist, Alt-Right rhetoric in search of belonging. The third panel — moderated by Dr. Paul Dafydd Jones, co-director of the Religion and Its Publics Project of the University of Virginia — concerns future paths that scholarship might take in evaluating and contesting the Alt-Right, including possible interdisciplinary studies. 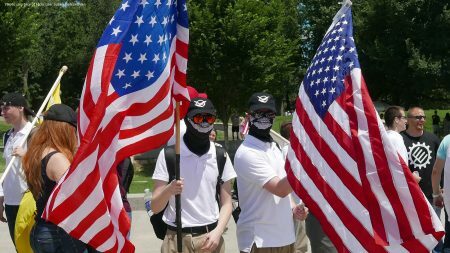 Dr. Jerome Copulsky of the Berkley Center at Georgetown speaks of the Alt-Right as a diverse movement and considers it more of a “style” or orientation defined by resentment toward or critique of Western liberal modernity. He suggests that scholars pay attention to how the Alt-Right diagnoses problems with modern liberalism and what they put forward as a cure, in order to understand the appeal of different iterations of the Alt-Right. Dr. Larycia Hawkins of the University of Virginia traces racist tropes that construct Black identity within American history, utilizing an analysis of the 1915 film Birth of a Nation. She then uncovers these tropes in their figuration within the Tea Party Movement, particularly women leaders of the movement, to expose racism in how rightwing movements conceptualize “authentic” citizenship, as well as the concept’s ongoing power in American discourse. Dr. Jones, orienting himself from a theological perspective, discusses how anti-Black and anti-Brown racism has roots in Christianity’s historical anti-semitism, how current Christians should think about what kind of witness is needed to combat the Alt-Right, and how to move past strict dependence on words or ideas as the only mode of opposing the Alt-Right. Dr. Larry Perry of Georgetown University speaks from personal, scholarly, and political perspectives about the intransigence of racism and calls for a higher level of attention to all of its aspects. An interdisciplinary conference to investigate the state of inquiry on the alt-right and religion. The event will feature three panels of experts from a variety of fields to explore the historical roots of the movement, the current state of affairs, and future trends, paying close attention to issues of history, ritual, faith, theology, and the like. In addition to discussing the nature of the relationship between religion and the alt-right, participants will identify gaps in research and future lines of scholarly inquiry. More info here. 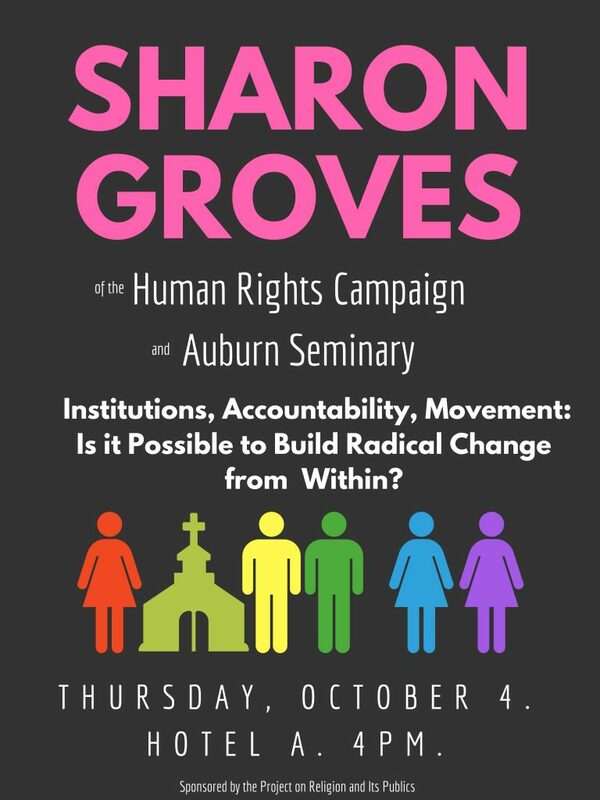 October 4th 2018 – Sharon Groves of Auburn Seminary and the Human Rights Campaign gave an interactive lecture about creating change from within institutions. In conversation with graduate and undergraduate students, Groves maintained that our lives are full of institutions, and yet everywhere today institutions are in crisis. It is in these crises, however, that those within institutions can grow and challenge previous assumptions in the service of a more inclusive and just future. 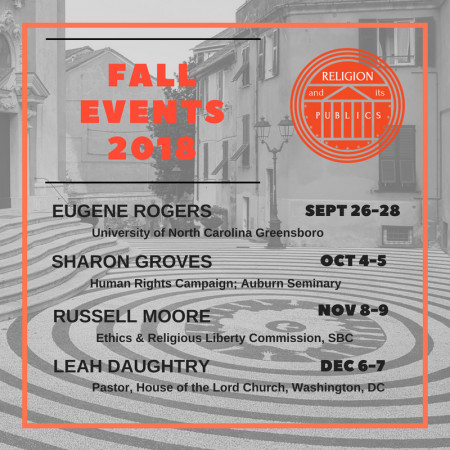 Religion and Its Publics hosted a manuscript workshop for Eugene Rogers, Professor of Religious Studies at the University of North Carolina-Greensboro, in Charlottesville on September 27th. Rogers new book is titled The Analogy of Blood, or Why Blood Persists, and offers a theological analysis of blood language. Rogers explores how the language of blood has been used, often for ill, in the Christian tradition, and offers a constructive proposal for how Christian theology should conceive of blood. More details to follow – here, and on Facebook and Twitter – for each event as it approaches. 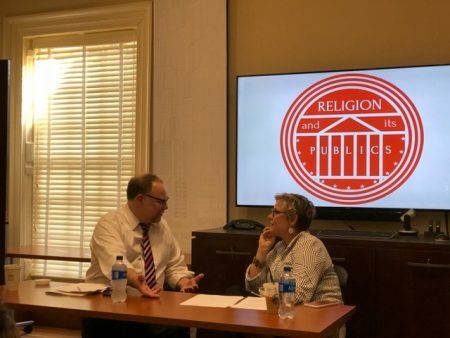 The Senior Fellows of the Religion and its Publics Project gathered at the University of Virginia for their annual week of planning and discussion. During this workshop, Senior Fellows had the opportunity to collaborate and work on individual projects. Collaborative sessions often resembled a seminar setting, with conversation starting from a shared reading completed by each participant. These included Joseph R. Winters’ Hope Draped in Black: Race, Melancholy, and the Agony of Progress, Fred Moten and Stefano Harney’s The Undercommons: Fugitive Planning & Black Study, as well as published and unpublished works by those in attendance. In addition, Senior Fellows had the rare opportunity to gather and discuss matters of intellectual interest without constraints. For this week, the conversation was the goal. Senior Fellows also worked with the Religion and its Publics project in an advisory and planning capacity. Convening two weeks after the Emerging Scholars Workshop, in which junior scholars had gathered to spend a week workshopping their own research and discussing writings about public theology, the Senior Fellows had the opportunity to hear a report on the Emerging Scholars Workshop and reflect on the future of Religious Studies. This generated a lively discussion on the state of the Religious Studies PhD and how degree-granting institutions train students for the demands of academic life. Part of this reflection on the future of Religious Studies centered on essays written by the program directors, Paul Jones and Charles Mathewes. With Jones’ “A Cheerful Unease: Theology and Religious Studies” and Mathewes’ “Alexandria between Athens and Jerusalem: Religious Studies as a Humanistic Discipline” as starting points, scholars considered the role of Religious Studies within the University—a pressing issue, given the rising number of contingent faculty appointments and the culture of ‘professionalization’ in many universities. The diverse institutional settings represented among the Senior Fellows – large research universities, schools of theology, and smaller liberal arts colleges – added much to this broad conversation. While conversation was the stated goal of the meeting, the group established multiple goals for the Religions and its Publics Project going forward. One is a programmatic statement, which makes the case for the study of religion as a necessary component of a liberal arts education; another is a book series, which would develop a lexicon of terms for the study of religion in the coming years. Shared meals, open discussion, and a collegial environment provided the context for ideas to develop and projects to move forward. Those who workshopped their writings were challenged to improve their projects and encouraged towards future goals, and the energy devoted to utilizing and theorizing about a Religious Studies education served as a testament to the vitality and imagination of the group. Now, for many, mid-summer travel generally does not conjure up images of a jam-packed week of academic discussion, debate over what constitutes a “public,” and intense writing workshops. We (or at least those in the middle and upper-middle class) tend to think of lounging on a beach in Florida or perhaps in France, chilling in Central Park and seeing a show on Broadway in New York, visiting Disneyland, or hitting up Harry Potter World at Universal Studios with the family. Maybe next summer for the Emerging Scholars. 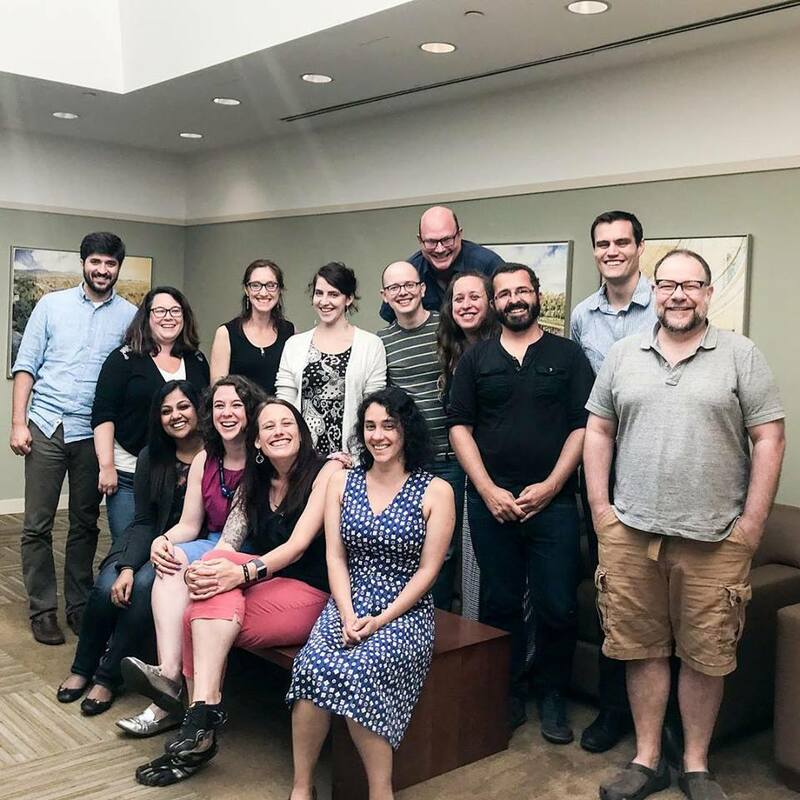 This weeklong workshop, an initiative of our Religion And Its Publics Project, allowed for twelve scholars interested in public theology to converse and collaborate, work on their own research, discuss shared texts, and begin to develop shared projects. The week had a rhythm and routine to it. Participants were given the morning hours to work, and we would gather as a large group at 10am for a morning plenary to discuss landmark contemporary texts. At noon, a catered meal would arrive, and we would either break for casual conversation or be joined by a visiting guest. The afternoons were then spent in small groups where participants would take turns workshopping each other’s writings. Scholars workshopped drafts of their own work in the afternoons and got the opportunity to get and give feedback in two small groups. Topics ranged from a political theology of peacebuilding in Colombia to eco-apocalypticism, an anthropological examination of individual and rights-based rhetoric amongst conservative evangelicals, and an exploration of what the women mentioned in genealogy of Matthew’s gospel might teach us about sexual exploitation and Christian identity. 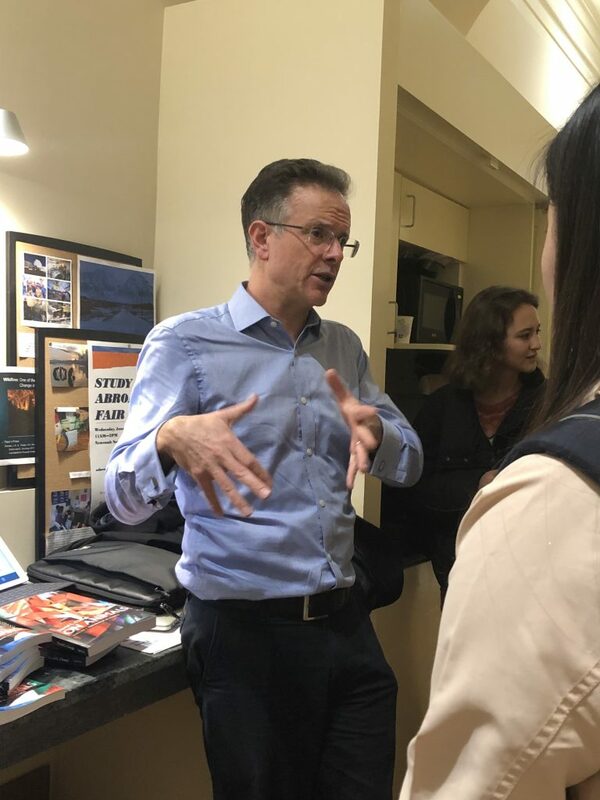 For lunch on Tuesday, Howard Witt, the managing editor and director of communications of the Miller Center at U.Va., spoke to us about translating our scholarship to broader publics through writing effective and persuasive op-eds. On Wednesday, we were joined by Jamelle Bouie, chief political correspondent for Slate magazine and political analyst for CBS News. Bouie spoke about the intersections of politics and public engagement and fielded questions from workshop participants about the ways that scholars might contribute. The heavy intellectual labor of the days together was balanced, or perhaps supplemented, by agenda-free dinners together on Sunday, Tuesday, and Thursday—although dinner conversations weren’t exactly devoid of intellectual conversations. On Wednesday evening, participants in the workshop had the opportunity to attend a local community forum, organized in light of the upcoming anniversary of the violent “Unite the Right” march in Charlottesville. The meeting, held at Ebenezer Baptist Church, involve a panel discussion of local law enforcement officials and an open forum. It stimulated an excellent, insightful post-meeting conversation about what public theology both looks like “on the ground,” and what public theology can learn from the complicated reality of life in Charlottesville. The workshop concluded with a final morning plenary discussion which reflected on the week during which we developed thoughts about future collaborations. Participants identified three collaborative projects to pursue together: (1) a Political Theology Network symposium on Public and Political Theologies; (2) an AAR Seminar on Public Theologies; and (3) a special issue of the International Journal of Public Theologies. These potential projects reflect the richness of the week, both in terms of its breadth and depth. On one level, a wide range of topics related to public theologies were discussed. On another level, there were some key sites around which the participants’ diverse interests constellated. A recurrent theme was that of audience and authorial aims. To what publics do our theologies speak, and toward what ends? How does public theology engage the sphere of the political, and how is it similar to, and different from, political theology? What shape might public theology take in our increasingly polarized, secularized, globalized, digitized world? What does effective, responsible media engagement look like? Most notably, participants explored these questions (and many others) together, conversing and collaborating, building connections across the different institutions, disciplines, and communities. The shared investment in public theology not only created a space in which participants’ respective work is strengthened. The space created by the participants—with the differing publics of which they are a part, and to which their respective works speak to—itself formed a rich foundation that, as developing collaborations already show, will bear fruit in years to come. 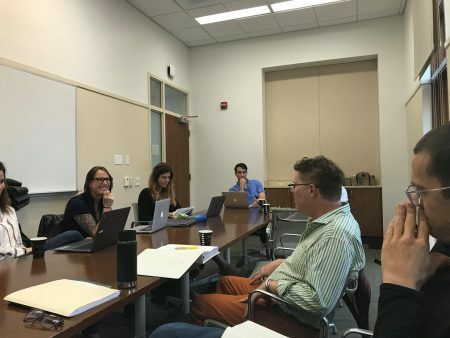 Religion and Its Publics hosted a paper workshop with Hanna Reichel, Associate Professor of Reformed Theology at Princeton Theological Seminary. 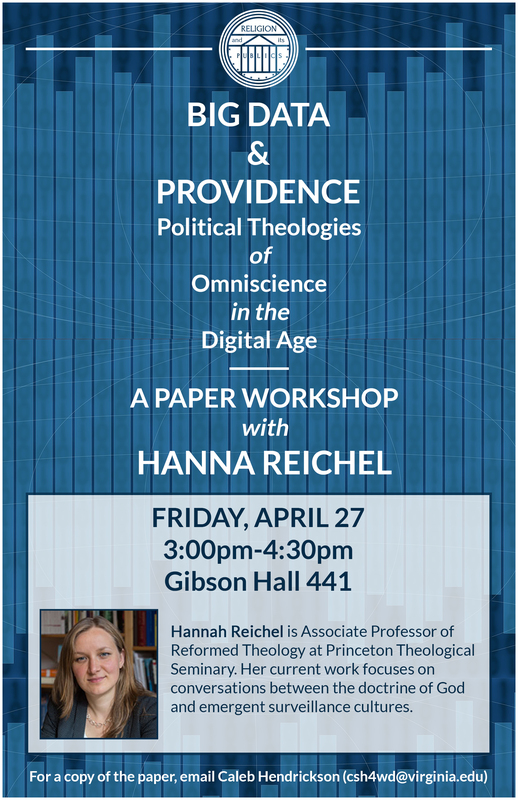 The paper, entitled “Big Data & Providence: Political Theologies of Omniscience in the Digital Age”, explores conversations between the doctrine of God and emergent surveillance cultures. 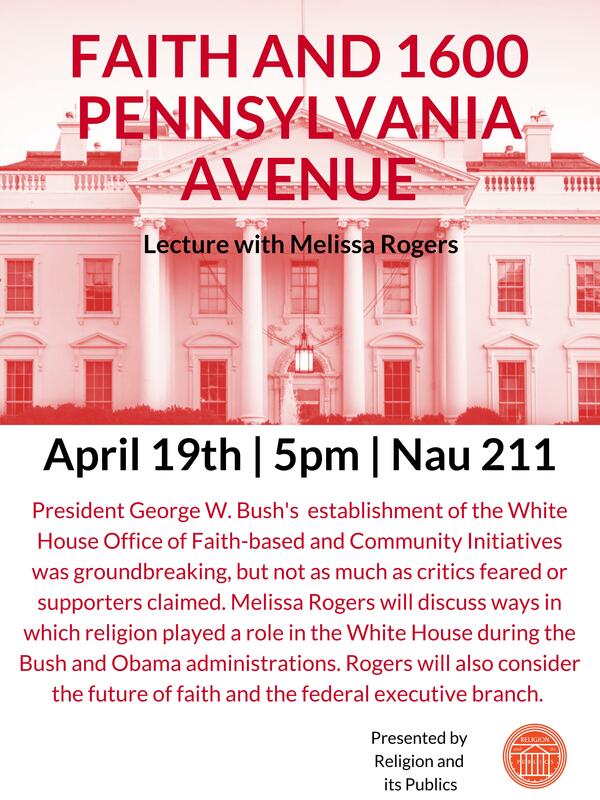 Religion and Its Publics welcomed Melissa Rogers for a lecture entitled Faith and 1600 Pennsylvania Avenue on Thursday, April 19 at 5:00pm in Nau Hall 211. Rogers discussed ways in which religion played a role in the White House during the Bush and Obama administrations, as well as the future of faith and the federal executive branch. In addition to a public lecture, Rogers also met with undergraduates about working in religion, law, and public policy in DC, and with graduate students on current controversies in religion and public life. Melissa Rogers recently served as special assistant to the president and executive director of the White House Office of Faith-based and Neighborhood Partnerships during the Obama administration, and previously served as chair of the inaugural Advisory Council on Faith-based and Neighborhood Partnerships. Senior Fellows Meet in Washington, D.C. The senior fellows of the Project on Religion and Its Publics met in Washington, D.C. for a second weekend of rich discussion and workshops. On Friday evening, E.J. Dionne of the Washington Post came to talk with Jane Little about his latest book, One Nation After Trump. The scholars probed him on truth, threats to civil institutions, and evangelicals; why the “values voters” who swallowed their concerns about Candidate Trump continue to support the president in numbers well beyond the general population. The next day began with a discussion of Amanda Anderson’s 2016 book Bleak Liberalism, which argues that liberalism is more than Rawlsian proceduralism. On Anderson’s account, the liberal tradition is a rich one, enlivened by significant literary and critical voices, and containing a set of values and an aesthetic sensibility of its own. The next object of discussion was senior fellow, Slavica Jakelić’s forthcoming book, tentatively titled The Practice of Religious and Secular Humanisms. The book defends humanism, but understood expansively: Humanism is not, contrary to some popular understandings, an inherently secular (much less atheistic) philosophy. Rather, it is a place of encounter between religious and secular worldviews, and one that recommends a way of being in the world that bears a certain resemblance to the Aristotelian concept of flourishing. Over lunch, the group discussed several essays taken from Mark Greif’s Against Everything and Leslie Jamison’s The Empathy Exams. These writings are interesting examples of work produced by writers who are academically initiated (both earned PhDs at Yale), but who work outside the academy. Particular attention was paid to their writing style, from the structure of their essays down to the cadence of their sentences. Saturday ended with a session dedicated to a recent essay by senior fellow, Thomas Lewis on moral formation, which on Lewis’s account has not ceased in modernity, despite influential claims to the contrary. We can see this in part by exploring the concept of Bildung in the philosophy of Hegel and the novels of Jane Austen, the dual focus of Lewis’s paper. A version of the essay the group read was recently presented at a conference and will be published in a forthcoming volume, but its insights stem from his larger research program and is connected to Lewis’s current book project, The Eclipse of Ethical Practices in the Modern West. The weekend concluded with a discussion of possible directions forward for the group. Among other things, the group continues to reckon with the purpose and value of public scholarship, and how such work should fit into an academic research agenda. 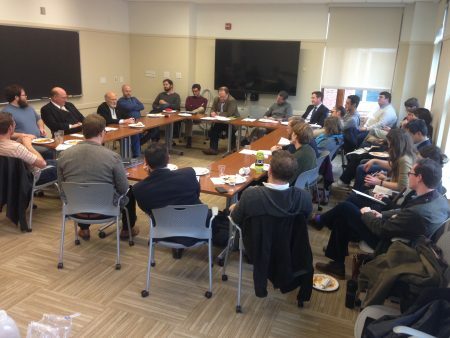 The Senior Fellows will convene again in Charlottesville in July. 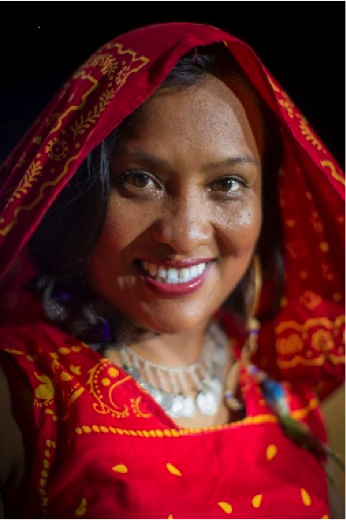 Jocabed Solano Miselis is an indigenous, evangélica theologian from the Guna people, in Panama. She co-directs the project Memorias Indígenas, through which she compiles and publishes the stories of Protestant and Evangelical churches among the indigenous/autochthonous/native peoples of Latin America and the Caribbean. Miselis visited Religion and Its Publics on March 19 to discuss her work with our own scholars and the broader University community. 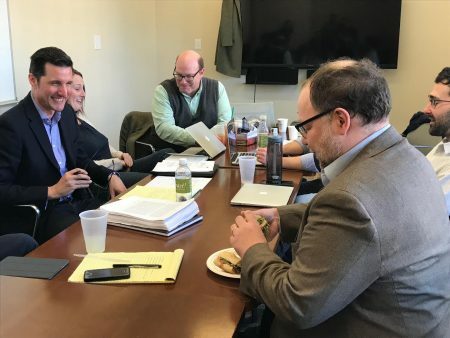 On Friday, January 19, the Project on Religion and Its Publics welcomed Luke Bretherton, Professor of Theological Ethics and Senior Fellow at the Kenan Institute for Ethics at Duke Divinity School, to workshop his current manuscript in-progress, Christ and the Common Life: A Guide to Political Theology (Eerdmans). 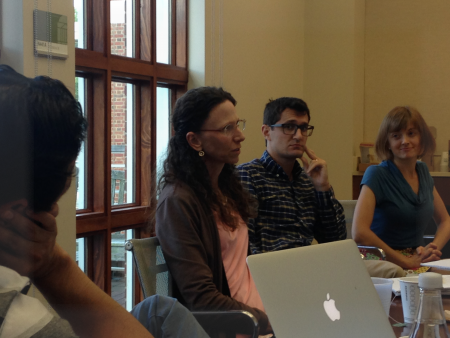 On September 29, the Project on Religion and Its Publics welcomed Jennifer Herdt, the Gilbert L. Stark Professor of Christian Ethics at Yale Divinity School, to discuss her work in progress, Forming Humanity. What does it mean to hold ‘humanity’ itself as our telos? What does this have to do with aesthetic and ethical formation? And why is this a deeply political claim? Ruminating over these questions with Professor Herdt in a day-long workshop produced substantive conversation, enlightening for the many participants and useful for Professor Herdt as she revises the work for publication. 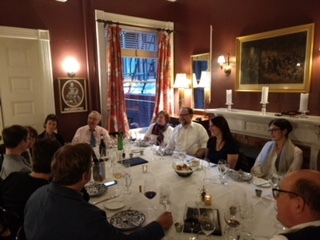 Twelve of our Senior Fellows gathered for a week of rich and wide-ranging discussion as part of our ongoing seminar series on religion in public life. 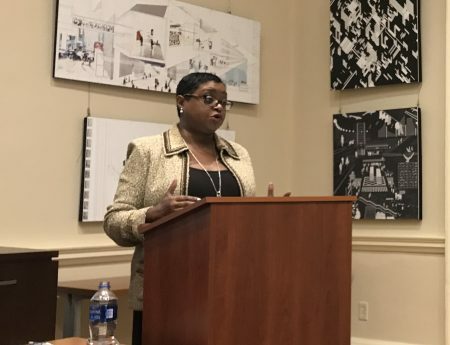 They were joined by Slate journalist, Jamelle Bouie, PRRI’s Carolyn Davis and Stephen Colecchi from the United States Conference of Catholic Bishops. The Summer Seminar began on Monday morning with a discussion of Didier Fassin’s Humanitarian Reason: A Moral History of the Present. Following lunch, the group discussed Rita Felski’s The Limits of Critique. These two books served as “shared texts” for the week, common readings engaged by participating scholars to help initiate and drive conversation. Themes from the books re-emerged throughout the week, and The Limits of Critique again became the object of attention when Rita Felski, Willam R. Kenan, Jr., Professor of English at U.Va., spoke to the group on Wednesday. Beyond these books, the group also read four works, in different stages of development, by scholars in the group. For the first manuscript workshop, held on Monday, the group focused on an introductory chapter of an evolving book project on black fatherhood by Vincent Lloyd. The next day, the group turned its attention to the first chapter of William Wood’s book on analytic theology and the academic study of religion, which is nearing completion. On Wednesday, the scholars looked at a project in its earliest stages, a draft of a book proposal by Darlene Weaveron moral failure. Finally, on Thursday, the group turned to the preface and introduction to Patience: A Theological Exploration, by Paul Jones – another book nearing completion. Prominent figures from outside of academia came to speak during the week as well. Two of these guests, Stephen Colecchi and Carolyn Davis, work at the intersection of religion and public life. Colecchi, Director of the Office of Justice and Peace for United States Conference of Catholic Bishops, spoke on Tuesday of the global work and priorities of the Catholic Church. Davis, Director of Strategic Engagement for Public Religion Research Institution, described PRRI’s gathering and organizing of data on religious attitudes. She also talked about using her academic background – a Ph.D. in Religion from Vanderbilt – to influence the public policy arena. Finally, Jamelle Bouie, Chief Political Correspondent for Slate and Political Analyst for CBS News, visited the group on Thursday afternoon. He discussed his work as a writer and thinker committed to analyzing and confronting the resurgence of racism in American political life. 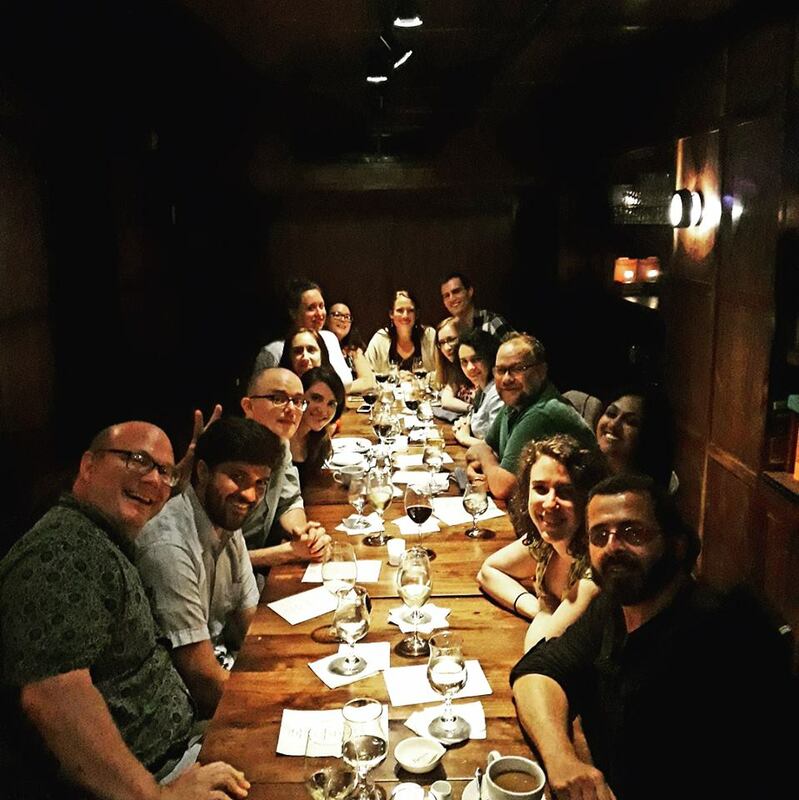 Read graduate student Evan Sandsmark’s analysis on the summer seminar here. Our Senior Fellows have gathered in D.C. for a weekend of wide-ranging discussion on neoliberalism and democracy, religion and politics, and to explore the varied ways in which scholars can build bridges between disciplines, the academy and the media, and engage multiple publics in urgent conversations about religion, society and the common good. Director of the Miller Center of Public Affairs at UVa, William Antholis will meet with religious studies undergraduates over lunch to discuss careers for those interested in religion and politics. Dr Philip Gorksi, Professor of Sociology at Yale University, visited UVA to discuss his upcoming book, American Covenant.